Tungsten alloy is used in many radiation-shielding applications including industrial, nuclear and medical. Because of its high density and high atomic number, is an effective construction material for shielding against gamma rays and x-rays. Lead and boron carbide can shield radiation too, but cannot perform as well as tungsten alloy. 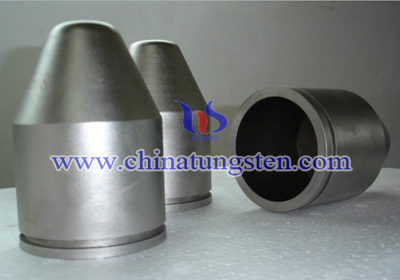 Tungsten alloy is a suitable raw material for tungsten alloy radiation container, because of tungsten alloy radiation container combination of radiographic density (more than 60% denser than lead), good machinability, good corrosion resistance, high radiation absorption (superior to lead), simplified life cycle and high strength. Tungsten alloy radiation shielding can provide the same degree of protection as lead whilst significantly reducing the overall volume and thickness of shields and containers. Moreover, compared with lead or depleted uranium, tungsten alloy is more acceptable in this case, for it is non-toxic and environmentally friendly material. Why Use Tungsten Alloy Radiation Shielding? Compared to traditional radiation shielding materials such as lead and boron carbide, tungsten alloy radiation shielding provide excellent density with small capacity. At the same weights high density alloy can provide the same energy absorption as lead using 1/3 less material. When the weight is certain, more density, and the thickness would be thinner. Tungsten alloy radiation container material could be made with thinner thickness but high absorption of radiation in high density. 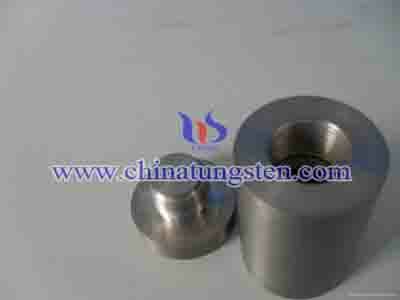 That is why tungsten alloy material is suitable for tungsten alloy radiation shielding. d: Shielding thickness, with the half-value layer thickness of their units, you need to half-value layer thickness of the quality of translation into the thickness of the material, divided by the density of the material can be obtained. A main application of tungsten alloy products, tungsten alloy radiation containers are widely applied in medical and nuclear industries. Owing to its excellent radiation resistance, tungsten heavy alloy has gradually replaced lead shields to become the main shielding materials in many industries to protect the radiation. Tungsten alloy radiation container is a flexible heat-resistant tungsten alloy raidation shielding made of tungsten and iron metal powder immersed in a silicone polymer. Lead blankets have been the backbone of tungsten alloy radiation shielding applications for years but, in comparison, is a less effective and efficient tungsten alloy raidation shielding choice. Due to the ability to place the maximum amount of weight between the source and the worker, the new generation tungsten alloy radiation shielding has proven to be up to twice as effective as lead in lowering exposure rates. Designed in custom shapes, tungsten alloy radiation container has the ability to field-fit, providing for attenuation of radiation totaling from 5 to 10 person-Ram/years than provided by the equivalent weight of traditional lead blanket. Additionally, the tungsten alloy radiation shielding weighs 25 to 50 percent less than lead while removing the accompanying toxicity hazard and mixed waste processing costs. If you have any interest in tungsten alloy raidation container, please feel free to email us: sales@chinatungsten.com sales@xiamentungsten.com or call us by: 0086 592 512 9696, 0086 592 512 9595. We are at your service.